← Grades 1-6 Winter Concert – Pizza and Treats! For Gledhill families who have tickets and are attending tomorrow’s Marlies game, the ice is reserved from 1:00pm – 1:50pm for a family skate! Families can arrive as early at 12:20pm. Participants can enter the arena at the North Group Experiences Check-In gate at Ricoh Coliseum. A member of the Marlies staff will be there to direct people to the change rooms so they can put on their skates. Anyone under the age of 13 must wear a helmet. 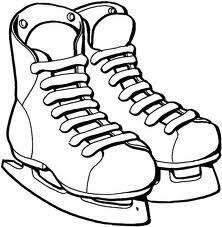 No hockey sticks or pucks, this is just a pleasure skate! After the skate families can return their skates to their cars and then make their way to the main entrance for gates opening at 3:00pm. Liberty Village is a close walk away if you would like to grab a coffee or bite to eat before 4:00pm puck drop. This entry was posted in Community Event, Fundraising. Bookmark the permalink.